Rarosue is a graduate student at the University of South Florida, but her hometown is actually in Nigeria! She is presently pursuing her Master’s Degree in Global Sustainability with a concentration in Climate Change and Energy Sustainability at the Patel College of Global Sustainability at the Univeristy of South Florida. She is also the founder of Green Club Nigeria, where she raises awareness on environmental challenges and proper solutions to the public. She has hopes that by joining CCL’s Campus Leader Program, she can expand her climate advocacy work and achieve great goals. Hailey is a Senior at Drew University in New Jersey, studying Women and Gender Studies, and Theatre Arts. She got interested in climate change work when first attending a lecture about how to change environmental issues in our own communities by addressing congress people from places of compassion. That motivated her to join CCL! Hailey hopes to create more awareness about the state of her planet. Recently, she did a performance art piece on her University campus, providing a visual of the human demise and factual information about what we are actively doing to the planet. Gracie is a student at Cal Poly Pomona studying Business Management and Human Resources. She is the President and Founder of Students for a Sustainable Future at her University. In addition, she has held at-large positions on sustainability committees. Gracie has truly worked hard to make changes on her local campus. She has helped host over 50 events and promoted plant-based living. Through her leadership, groups on campus have been able to achieve large goals but Gracie still feels as if sustainability is highly under looked. She hopes to be a change maker for clean energy policies. Roderick is a Junior at Syracuse University in New York where he studies Information Management and Technology. He is extremely passionate about environmental preservation and believes that our generation is going to have to be the ones to instill change regarding climate change. Roderick thinks that the first step to enacting this change is to increase awareness. Then, we must find a medium where like minded people can come together to actively make a difference. Jacques is a Doctoral Student studying Environmental Studies at Antioch University in New England. He has been a volunteer at CCL for over three years now and is originally from Cameroon in Central Africa. Jacques became a Campus Leader in order to enforce awareness amongst students around the carbon fee and dividend so that we may conquer one of the biggest environmental challenges of our time--climate change. Jacques is excited to be a part of the CCL community and hopes to transport the advocacy skills he has learned to improve his community in Cameroon. Jivahn is a Junior at Princeton University majoring in Economics. Born in Colorado, he was raised in Paris, France, and survived the gruelling French education system. He has always had a passion for environmental issues, and has been an active member of the Princeton Student Climate Initiative since 2018, where he has worked on various research, recruitment, outreach and management initiatives. He is a strong advocate of designing systemic solutions to environmental problems that have widespread positive impacts, benefit the local economy, and are sustainable in the long-run. 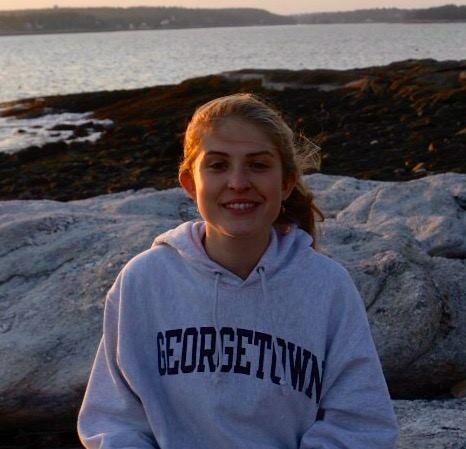 Maggie is a third year student studying Environmental Science and Economics at Wellesley College in Massachusetts. She spent a semester abroad with IHP Climate Change where Maggie had the opportunity to visit Vietnam, Morocco, and Bolivia to learn about how climate change has affected their local communities. In addition, she learned more about the environmental policies set in place by their local governments and how climate justice movements are led by citizen activists. Maggie has helped establish EnAct at her college, an organization dedicated to educating the student body about the environment, providing volunteer opportunities in the greater Boston Area, and leading political campaigns on campus. Vania studies Environmental Biology at Cal Poly Pomona and she joined CCL in 2016. Her intent through the Campus Leader program is to make sure she can reach out to as many people as possible to help create a massive change. In addition, she wants to make sure that our representatives are listening to us! Vania found her passion in life at an early age, when hearing about the hole in the ozone layer and how global climate issues are threatening her future and our planet. She eventually found her way to CCL and the politics of climate change. Laura studies International Politics at Georgetown University in Baltimore. She is currently focusing on getting the University President’s signature in support of the federal carbon tax and dividend policies, while also increasing support for the measure in general. Tyler studies Environmental Science at Rice University in Texas. Tyler is a trip leader for the Rice Outdoors Programs and Education where he helps plan and lead outdoor trips to different natural areas in Texas. He believes that getting support for climate policy in Congress is only possible if it acts as a compromise between industry and environmentalist. He also believes that spreading awareness amongst younger generations is incredibly important, and finds that the Campus Leader program is a great chance to inspire youth to get involved with government and showcase that we have the ability to foster great change as long as we put in the effort. Skyler is a Senior at Oglethrope University in Georgia, studying Politics. He has previously interned at Congressional Ed Day and done lobby work with CCL. He finds it extremely important to be part of the solution to the climate crisis that we are currently experiencing. In addition to being a Campus Leader, Skyler is a volunteer Team Captain at Oglethorpe’s Center for Civic Engagement where he oversees volunteer days of services throughout the metro area, working with various non profit organizations. Dayne is a Sophomore studying Environmental Science at the University of South Carolina where she has also interned for the Office of Sustainability. Throughout her time at USC she has worked with food systems and organic gardens impacting the local community. Dayne believes that the most powerful way to incite change is to share why climate problems matter, instead of just discussing the issue and advocating for solutions. She believes that people often overlook environmental issues because they cannot always see the effect that the problems have. Dayne hopes to change even one person’s perspective on climate change.